I specialize in representing clients in the purchases and sales of single-family residences, condominiums and income property within the cities of Jamaica Plain, Boston, Roslindale, West Roxbury , Brookline, Mission Hill, Quincy, Dedham, Newton, Norwood, Walpole,Medfield and Franklin. I keep current of all transactions in these areas and I'm also very knowledgeable with the local schools. I was born and raised in Jamaica Plain and it is where I still happily reside today. I began my Real Estate career 23 years ago at Pleasant Realty Group. I have well established professional and personal resources that enable me to solve just about any problem. I have a proven history of experience, loyalty, reliability, competency and honesty. 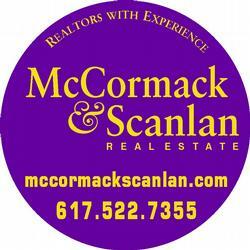 I am confident that my extensive knowledge of the Greater Boston area and my experience selling real estate will be beneficial to the sale or purchase of your property. I look forward to hearing from you. My number is 617-529-5012 and my email is jamaicaplain@gmail.com.